Is your home outdoor area looking a little lacklustre these days? Are you bored of your current decor, or simply looking for a fresh injection of life into your space? If that’s the case, this is the article for you. 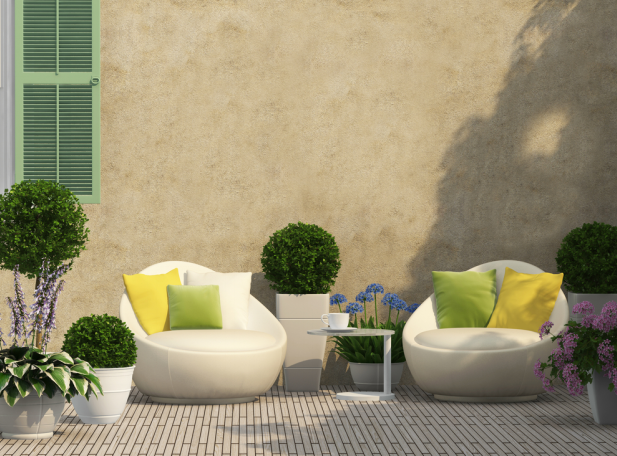 Read on to find out a little more about how you can give your outdoor areas a stylish makeover. With a little know-how, you’ll be able to turn your space into one of your dreams. Summer has come and gone, but that doesn’t mean that your days of lounging out in your outdoor areas have to come to an end. A simple solution to keep your outdoor area warm and toasty all year long is to install some gas outdoor heaters into your space. These heaters look stylish, and ensure that you can continue to wine and dine outside, even in the colder months. The fun doesn’t have to stop just because the weather has shifted! Your outdoor area is not complete without a large table where people can come together to relax or have a family meal together. We recommend purchasing wooden tables or tables made of natural materials so that the aesthetic flows with the earthy tones of the outdoors. Always keep your table well dressed, with a table runner, placemats, flowers and tea lights. This will truly breathe some new life and elegance into your outdoor area, and you’ll always be ready should company come knocking on your door. Nothing transforms the mood of a space more than lighting does, and your outdoor area is the perfect opportunity for you to get creative with lights. You can consider hanging up affordable fairy lights, paper lanterns, or even go all out and install step lights, solar powered lights, spike lights and pathway lights into the area. Keeping the area well lit ensures that you have a great ambience even when the sun goes down, and makes your outdoor area look much more inviting in the evening. Landscaping is essential if you want to give your outdoor areas a stylish makeover. Not only are they beautiful, but plants also help to breathe life into your space, beckoning you in to sit down and relax. There are a myriad of options when it comes to landscaping – from vertical gardens to shrubs to privacy offering hedges. If you are not confident in landscaping yourself, don’t fret, there are many professionals out there who will be able to offer you guidance and assistance. Why Not Grow Your Own Produce? Outdoor spaces don’t have to be all about just entertainment – why not put your space to good use by starting your very own fruit and vegetable garden? There is nothing better than growing your own food, knowing how it has been grown and enjoying the bountiful crops of your hard work. You can grow many cost effective veggies such as herbs, lettuce, tomatoes and beans in your outdoor area, saving you money in the long run as well. Aside from growing your own food, you can even compost, which is a way of recycling your organic waste and turning it into a nitrogen rich substance that will greatly improve the soil in your outdoor areas. We hope that this article has given you some insight into how you can go about transforming your outdoor area. With a little know how and a trip to a DIY store or two, you’ll be lounging in your dream outdoor patio or backyard in no time. Whether your looking to carry out a complete makeover or just looking for some minor decoration tips to spruce up your decor, we have some great ways to revitalise your home. We’ve got decoration and style ideas from wallpaper trends through to beautiful leather lounge suites that won’t fail to brighten up any room. In 2017, we heard all about millennial pink, and although pastel pinks are still all the rage this year, lavender and lilacs are the new chic colour creeping into decor trends of 2018. Use these colours to create a comfortable space where you can relax. Why not add some textiles and accessories in these colours to really show you have your finger on the design pulse. Rugs, cushions and other decorative accessories are a great way to make any room shine. Natural and rustic materials are gaining more and more momentum, raw wooden shelves are a great way to add extra storage space as well as some natural warmth. Earthy accessories such as terracotta plant pots featuring greenery really make a home feel welcoming and natural. Organic and traditional handcrafted accessories are also a quick fix for more compact rooms, such as bathrooms, where you may be short on space. Try adding a beautiful woven hanging plant pot to add some freshness to smaller areas without taking up much too much floor space. If you have the budget and are looking for a statement wall, why not look to see whether you can expose natural brick to add a focal point to your room. 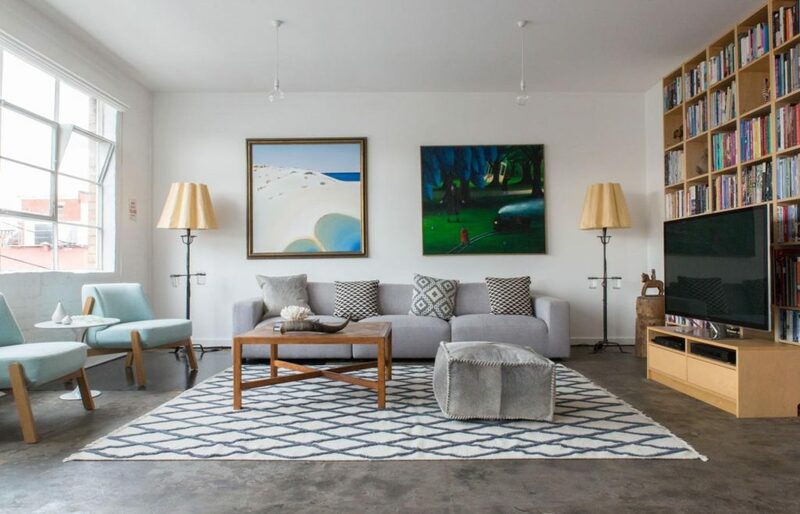 Combine natural brick with some bold pictures to really make the place pop. As well as pastels moody tones are also going to be making a splash this year. Darker tones could be incorporated into artwork or used to create a tone on tone wall and furniture combo to add some variety to the house decor. Picking a bold armchair to offset a darker wall is a great way to have some fun with colour this season. Moody blue tones are currently taking over the design world with their wonderful ability to be moody and inviting at the same time. Creating a tranquil place to relax and escape from the day-to-day hassles of busy lifestyles. Decorating with bold prints is a simple way to add a bit of life and vibrancy to your home. Why not play around with pictures and prints of different sizes on one wall. It will change the ambiance of any room without breaking the bank. Another way to revitalise old furniture is to reupholster a signature piece to give it a new lease of life, or purchase some textured throws and cushions to add a bit of colour to your home. Patterned wallpapers have exploded in recent years as they’re a great way to make any room breathtakingly beautiful. From bathrooms all the way through to your kitchen or bedroom, floral, geometric and even ornate designs can add a subtle updated or a bold splash of colour that can excite any guest. Patterned wallpaper prices can vary dramatically though, therefore make sure you measure up correctly to avoid any unnecessary material wastage. Dark wood will be a popular material this year with furniture moving away from lighter scandio style woods to deeper tones. These darker tones will compliment the moodier paint palettes detailed above and add a sense of luxury and glamour. Furniture designs with darker wood finishes will accentuate their metallic and copper finishings which will be much more visible in homes this year, combining the modern with the retro to create a new take on modern interiors. What are you waiting for? Start searching for your home decor inspiration and make your home breathtaking this year. Owning your own home is the great Australian dream. If you’re blessed enough to have a place to call your own, there’s a lot more to do than just pay off the mortgage. You need to maintain it, keep it clean, develop a green thumb to keep that garden look pristine as well as pay all the bills, rates and other expenses like insurance. And then there’s your interior to consider. Your home needs to be a direct reflection and expression of yourself and your unique personality. Let’s check out some interior insights and see what your decor says about you. There’s nothing worse than a bland and lifeless interior. Well, maybe a few things, but it’s definitely up there. Your home space needs a spark of love, light and creativity to really bring it alive. There are lots of reasons why people suffer from dull interiors – lack of time, energy, motivation, money or taste. That’s why employing an interior decorator in Melbourne may be just the ticket. A local interior decorator can help transform a lifeless, dead space into one that’s just bursting with vibrant personality. One way to let your individualism shine through inside your home is to invest in some art. You don’t have to rob the Louvre to acquire a few pieces that really speak to your innermost vibe. You may even find that scouring some op shops and second hand stores will suffice. All you need is something that resonates with you. Some people prefer soft pastels and oils while others like bright and bold modern pieces. You could even do some research online to find out what you like best. Did you know that indoor plants are a great way to both decorate your home and make a statement about yourself? There’s a wide range of indoor plants that all tell a story about the homeowner. If you’re careful and considerate choose something that requires a lot of care. If you’re more laid back then choose something that you can just water once a week and forget about for the rest of the time. Your choice of paint palette says a lot about you as a person. If you’re bright, sparkly and colourful then choose some indoor paint colours that will perfectly reflect your personality. If you are more reserved, that’s fine, just pick a paint palette that doesn’t make a huge statement. Either one is fine, and that’s the beauty of modern individualism. And the best news is that if you ever have a change of heart and mind either way you can just paint again! Do you think that less is more? Are you a bit fed up with clutter and chaos in your house? Then a minimal approach may be right for you. Minimalism essentially means living with less stuff, including home decor. It can be a tough road to travel, but a well-designed minimal interior is to die for. Having a lot of space in your home can mean that a few well-placed items really pop out and scream “this is my stripped-back, bare essence”. If you’re a fan of DIY – renovations, crafting and artwork, then why not decorate your space with all of your own creations? They will look truly unique, and it’s a great bragging point when somebody compliments your decor. Hopefully by now you’ve got a clear idea of how to make your personality shine out through your home. From getting creative and doing it yourself through to adopting a minimal approach, there’s a lot you can do. Consider hiring an interior decorator, choose your paint scheme carefully, invest in some houseplants and pick up some new or second-hand art. Enjoy your new found expression. The planet Earth is filled with life. Creatures great and small inhabit its forests, oceans, springs, glades and oases. From great white sharks through to quokkas, there are so many majestic, magnificent, malicious and mighty creatures that are awesome to behold. And then there’s ants. And flies. And spiders. And all those creepy crawlies that just love to call your house their home. We’re going to take a quick look at the most common household pests and how you can avoid them. Termites, or “white ants”, are tiny insects that are found on every continent of the planet except Antarctica. It’s probably too cold for them there. They love to eat dead plants, which actually makes them a vital part of our ecosystem. Unfortunately, dead plants include the timber that makes up the frame of your house. Once you have a termite infestation they can destroy your home within months. You may want to consider a termite inspection to ensure your home is safe and secure. Spiders. Ugh. Sadly, these eight-legged scary things love to live in your home. Especially in dark nooks and crannies like your garage or garden shed. The good news it that the humble huntsman and other non-venomous spiders help to keep the population of other pests, like flies and mosquitoes, at manageable levels. The bad news is that deadly species like redbacks, whitetails and funnel webs can also take up residence too. Do yourself a favour and take care when poking around your garden shed or garage. Ants, like termites, play a vital role in the world’s ecosystem. But of course, when they invade your home that’s the last thing you think about. Ants tend to be attracted to stray crumbs and bits of food, especially sugar and sweet things. Did you know they can carry many times their own weight? Although that knowledge is no comfort when you find them crawling all over your stash of doughnuts. If your home is prone to ants, try to keep all sweet food sealed in tight containers so they can’t get in. While we’re on the topic of creepy crawlies, bed bugs are another common household pest. Bed bugs actually live on the blood of humans and other animals. They tend to find their way into your home through infested linen, furniture or luggage. So, think twice before buying or accepting second-hand gifts of these items. Their bites can feel like mozzie bites. If you suspect a bed bug infestation, it’s probably best to recruit a professional to come and examine your home. Mice and rats are another common household pest. They tend to live in between your walls or under the floor and love to feed on leftover food scraps, compost and other bits and pieces you may leave laying about. They can be a real hazard as they can chew through insulation and wiring, creating a serious fire hazard. Do yourself a favour and contact an exterminator if you find an infestation. Cockroaches are a really common household pest. They tend to thrive in your kitchen and other areas where food is prepared. They can actually spread salmonella and gastro to humans, as well as trigger allergies. It’s important to keep your house clean and tidy and free of food scraps in order to avoid visits from these awful critters. There are many other common household pests, but these tend to be the most common. From wood-devouring termites, ants and scary spiders to disgusting cockroaches, rodents and bed bugs – many creepy crawlies can come knocking. Try to follow some of the advice in this blog and your home will be a clean and serene haven. Buying your own home is one of the biggest financial decisions you’ll make in your life. It’s complicated and even a little scary, but there are a few simple things you can do to make it easier and save yourself money at the time you’re making your purchase and over the life of your mortgage. 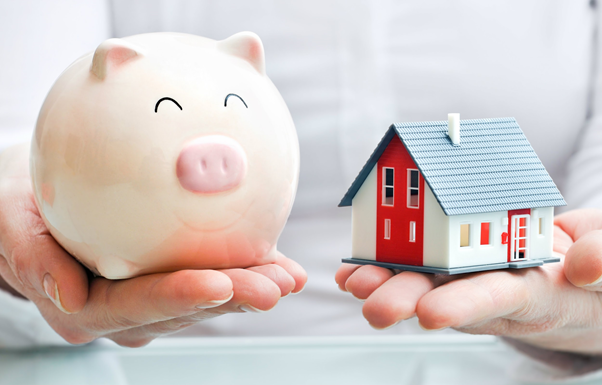 Continue reading for five great money saving tips you can employ when buying your first home. Whether you are dreaming of a ranch in the country or a project home in Sydney, one of the best things you can do to prepare for home ownership is to reduce your debt. Not only does it make room for the mortgage payment in your budget, you’ll get a better interest rate that can save thousands over time. Don’t base this off of the highest loan amount that you can get approved for because going for the maximum can leave you in over your head later on. Instead, look at your budget and decide what you are comfortable with for a monthly payment. You can start with a home loan eligibility calculator to help you choose a price range. Getting a professional home inspection will help you to find problem areas before you buy and save you money on repairs. Even if you are a handy person, it’s better not to assess things on your own. 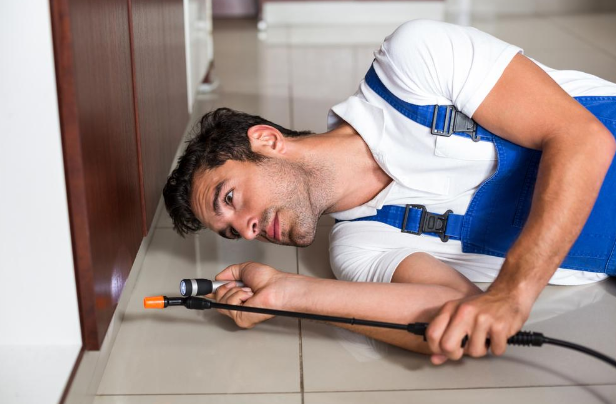 If the inspector finds something you can ask the seller to deduct that amount from the price or to fix it before you sign the contract, plus you’ll know exactly what you’re getting into. The professionals helping you to find your dream home should also be willing to help you, from your realtor or your mortgage broker to your conveyancer. Ask questions and be suspicious of anyone who doesn’t seem willing to explain the process. Remember, they are working for you. There can be costs that are separate from the mortgage, such as Homeowners Association fees. These can range from $50 to hundreds per month on top of your mortgage and taxes. Read HOA agreements thoroughly and be sure you understand what the additional cost will be. Take into consideration concessions such as stamp duty or removal costs if you plan to renovate part of the property. There are also helpful options, such as a First Home Owners Grant, that you may qualify for to help with the cost of buying your first house. Look at the whole picture, not just your monthly house payment. All mortgages are not created equal, so do some reading and see which kind of mortgage will be best for you. It’s smart to talk with your realtor or mortgage broker, but in the end, you will be the one making the payments so it’s important to understand what you are signing up for. It’s not a requirement, but if you save up a deposit of at least 20% not only will it improve the interest rate you will be offered but you can avoid having to pay for Private Mortgage Insurance. A PMI agreement protects the seller in case you default and it can add up to thousands over the life of your mortgage. Once you fall in love with a particular house chances are someone else will be interested too, so be prepared to act. By knowing how the process works, what you can pay and being ready to make an offer you will be in a position to snap up that perfect house before anyone else can.